Ailey II is an exceptional company that merges the spirit and energy of the country's best young dance talent with the passion and creative vision of today's most outstanding emerging choreographers. They have become one of the most popular dance companies in the US with unmatched critical praise. Ailey II's distinctive repertory has included works by dance masters Alvin Ailey, Talley Beatty, Ulysses Dove, George Faison, Lar Lubovitch, and Ailey's Artistic Director Judith Jamison. Ailey II has also performed innovative choreography by Robert Battle, Sidra Bell, Stephane Boko, Christopher L. Huggins, Jessica Lang, Darrell Grand Moultrie, and Scott Rink. Sunday, February 13, 2011 at 7 p.m. Please come on out with your cars and bikes and support to show the car and bike culture and history of cars. There will be music food games trophies and hopefully a ton of cars. Every Second Saturday beginning May 14 and continueing through October 8, Frenchtown, NJ will bring the streets to life for evening entertainment. Music will start at 4PM and go until 9PM. There will be entertainment for children as well. Participating stores will have special events, refreshments and music for your enjoyment. Check out our website for bands playing, program changes and additional information at www.frenchtownnj.org. Triumphant, groundbreaking, and enshrouded in mystery, these two "monumental" works by Beethoven and Mozart have captured the hearts and minds of audiences from the moment they premiered. In association with the Monmouth University Performing Arts Series, with period orchestra and chorus conducted by Music and Theatre Arts Professors Ron Frangipane and Dr. David M. Tripold, this is an event you will not want to miss. 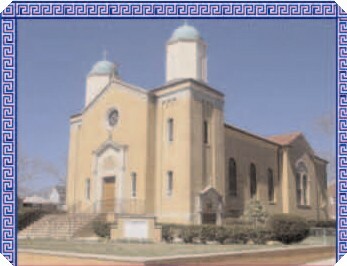 Friday, April 15, 2011 at 7:30 p.m.
Join us for our annual Greek Festival by the Bay. Egg Hunt - for kids of all ages. The Residence Inn Princeton / South Brunswick will be hosting its first Easter egg hunt. Our hotel is located on a few acres so there is lots of hiding places! Everyone is invited. Free of charge! 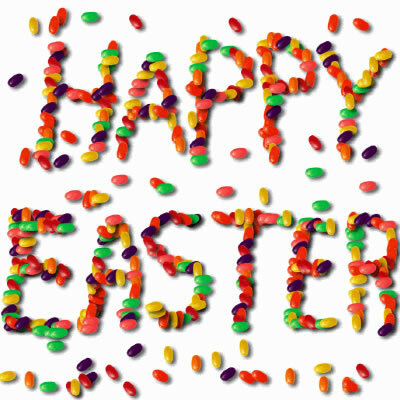 We will be having the egg hunt on April 16th 2011 at the hotel in Monmouth Junction between the hours of 10:00am - 2:00pm. You are free to come at your leisure. We will allow the kids to search for 15 eggs. Once found, you will get a little treat. You are welcome to bring your own basket! Any further questions can be directed to the hotel front desk or the sales office. 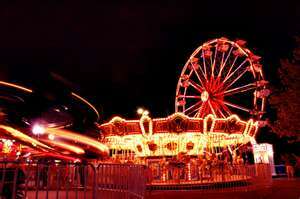 - UNLIMITED RIDES ALL NIGHT, only $20. Free Admission - Rides - Games - Food - Fun!! Advance Ticket Sales for Rides Available at 50% OFF until Aug. 2. Back by popular demand, In the Mood returns with their big band orchestra, singers, and swing dancers. This retro 1940s musical revives the music that moved a nation's spirit and helped win a war. The combination of up-tempo instrumentals and intimate, romantic ballads set the mood for a future filled with promise, hope, and prosperity. This Big Band theatrical Swing revue features the music of Glenn Miller, Tommy Dorsey, Artie Shaw, Benny Goodman, Harry James, Erskin Hawkins, The Andrews Sisters, Frank Sinatra, and more. Sunday, March 27, 2011 at 7 p.m.
April 7, Lakewood BlueClaws Opening Day!!! April 7th is just days away which means the start of the 2011 season for the back-to-back defending champion Lakewood BlueClaws!! This year's opening day the BlueClaws will be having player introductions and the raising of the South Atlantic League Championship Banner from 2010. Opening day also falls on a Thursday, which everyone knows is our Thirsty Thursday. All beers in the WRAT Trap area are only $1. Speaking of $1, April 8, 9, 10 will be our dollar weekend at First Energy Park. All seats in the stadium for that weekend are only $1!!! Be sure not to hesitate when considering to purchase seats for these days, because the BlueClaws are looking for a three-peat and those tickets are going fast! A volcanic explosion of talent and energy, intense emotion, and feral passion, Leahy is a powerhouse of eight musical brothers and sisters who bring a rare level of originality and musicianship to the stage. One of Canada's most sought after exports, this family of instrumentalists, singers, and dancers has won Junos for Best New Group, Best Country Group, and Best Instrumental Album and the Socan award for Folk/Jazz instrumentalist. Their self-titled album rose to number four on the Billboard world music charts. Their life story became the subject of an Oscar-winning documentary, The Leahys: Music Most of All. On stage Leahy brought 175 audiences to their feet when they opened for Shania Twain on her inaugural world tour. Friday, February 25, 2011 at 8 p.m.
Saturday, April 2, 2011 at 8 p.m.
Monmouth University presents: Thomas and Friends Live! “Destination Frenchtown”, hosted by Paddle Creek, has been scheduled for Saturday, May 21, 2011, 10 am – 3 pm. located on the open lot next to Alchemy Clothing, this outdoor event kicks off the summer season by showcasing the charm and adventure of this river town. There will be kayaks available for visitors to experience a demonstration on the Delaware. Also enjoy music, local artists and many other family friendly activities. Visit a score of local and state conservation, wildlife & educational organizations. Cycle Corner Bike Shop will be doing a cycle demonstration at the river parking area from 10:30–1:30. Representatives s from the US Coast Guard will be at the river to kick-off Safe Boating Campaign. For more information, contact: info@paddlecreekfrenchtown.com, 908-996-0000 or visit, www.frenchtownnj.org and www.paddlecreekfrenchtown.com. Pleasant Valley Lavender in Morganville, NJ opens for pick your own Lavender on Saturday, May 14, 2011. Enjoy the beautiful scent and gorgeous colors of Lavender fields in full bloom. Visit our website www.PleasantValleyLavender.com for more information and directions. Join us at Lincroft Presbyterian Church for a Palm Sunday processional followed by service and coffee hour on Sunday, April 17 at 9:30 am. Easter Sunday service begins 10:00 a.m. on Sunday, April 24 with our choir, service and communion followed by open coffee hour. All invited to attend and bring a friend. Kids & Teens: Professional Childcare in brightly lit nursery available or have children join us for the Children's Sermon and participate with our activity boards. Teens welcome to join youth group and to "hang" in our Teen Room, designed and decorated by LPC's Youth Group. Cozy atmosphere and great opportunity to meet your neighbors and families in Monmouth County. 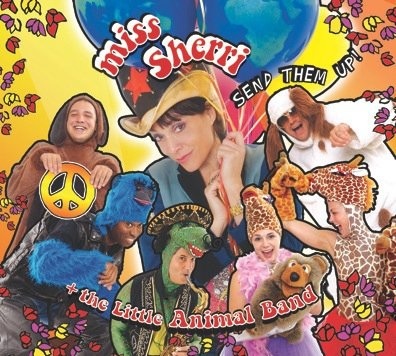 A great high energy family entertainment experience featuring Miss Sherri and her Little Animal Band. She will perform her new CD release “Send Them Up!” – a hip, new original kids rock show, covering the full range of the musical spectrum where children get to enjoy an exciting, high energy ride of musical entertainment. The show is a benefit for the Middletown Arts Center. 36 Church Street, Middletown, NJ 07748. Free parking on site. Call 732-706-4100 with any questions. Approximate running time 3 hrs. 40 min. The Klezmatics are world-renowned and Grammy-winning superstars of the klezmer world. They have revitalized klezmer for the new century with music that is steeped in Eastern European Jewish tradition and spirituality, while incorporating contemporary themes such as human rights and anti-fundamentalism with eclectic musical influences including Arab, African, Latin, and Balkan rhythms, jazz and punk. In the course of more than twenty years they have released nine albums of wild, spiritual, provocative, reflective, and ecstatically danceable music and have collaborated with numerous musical luminaries including folk hero Arlo Guthrie and classical legend Itzhak Perlman. The Klezmatics have reached millions through performances and features on CBS's Late Night with David Letterman, PBS' Great Performances and various NPR programs. Sunday, April 10, 2011 at 3 p.m.
Frontman, principal songwriter, and lead vocalist of the pop sensation Men at Work, Colin Hay is in the midst of a remarkable renaissance playing to sold-out shows. The frequent use of his music on soundtracks—including the hit TV show Scrubs and the sleeper-hit film Garden State—has proven the timeless appeal of his songs' personae: quizzical, curious, cynical, yet open-hearted. Hay's solo shows intersperse classic and new songs with hilarious, poignant, and downright surreal stories drawn from his often unbelievable experiences over the past three decades. Pre-Show Q & A at 6 p.m.
Saturday, April 16, 2011 at 8 p.m. The 36th Annual Christian Brothers Academy Art Show and Sale is scheduled for Friday, February 4 for the Preview Reception and continues on Saturday, February 5 and Sunday, February 6. Admission to the Preview Reception gives free entry to all events of the weekend. This Professional, Juried Art Show anticipates a hundred artists, who are present at the show and personally available to discuss their works. There will be thousands of wonderful, affordable works of art on display for your enjoyment and purchase. This is a major Monmouth County Art Event and continues to be a big local favorite for an evening or day out. The special Preview Reception, open to all, includes delicious hot and cold hors d’oeuvres from Merri-Makers Caterers plus an open wine bar, serving Champagne, Wine, Beer and Sodas. You can eat, drink, enjoy the live music and wander through the booths, talking to the artists themselves and buying treasures. Tickets for the Preview Reception are $40 in advance and $50 at the door and include all food and drink. Admission to the Preview Reception permits open return visits for all events for the entire weekend. The Friday evening Preview Reception is from 7 p.m. until 10 p.m. Admission to the show alone on Saturday February 5 or Sunday Feb 6 is only $5. Lunch and snacks will be available for purchase at the unique Artist’s Palette Café. The show on Saturday and Sunday will be from 10 a.m. until 4 p.m. Weekend events include several special Artists’ Raffles where you can purchase tickets and enter to win art works. There is also a progressive 50/50 Cash Raffle that runs throughout the weekend. The latter will be drawn at the Sunday Show and you do not need to be present to win the cash prize. Additional information may be found on the Art Show web site, which is www.cbaartshow.org. Advance tickets for the Preview Reception can be purchased on the website. You can also view video clips of the artists taken in prior years which show various artists setting up and posing with some of their works. The Event will be held at Christian Brothers Academy, located at 850 Newman Springs Road, Lincroft, New Jersey, 07738. Free Parking is available. Directions to the school are on the website. Admission to the show and reception benefits the school, although all sales from the art work goes directly to the wonderful artists. Come, browse, eat and enjoy; you will also be able to bring home some great, original pieces of art! 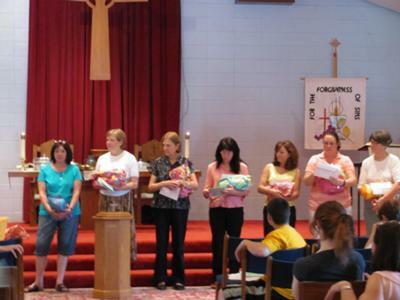 Show run by the CBA Mother’s Club.